“Is there such a thing as authentic Ukrainian Rock-n-Roll? Can a "telinka" - a Ukrainian flute - play the Blues? Is it possible for a romantic melody one remembers from childhood, to be reinvented as a sultry salsa? 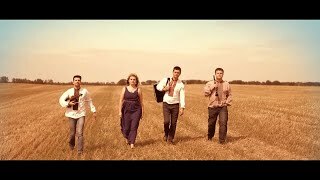 Can a Ukrainuan ensemble sound like a string quartet, a folk trio and a Jazz band beyond comparison? Absolutely! At least when the ensemble in question is Ukrainian Barvy" -according to inform agency of cultural industries PRO. The musical project Ukrainian Barvy, which has been propagating multi-genre Ukrainian musical fare to audiences in Ukraine as well as around the world since 1999, incorporates various styles into their multi-faceted concert program, from classical and folk to Blues and Jazz, experimental interpretations of Ukrainian folk songs, popularizing Ukrainian music in every possible way, presenting their 7th CD "BarvoMANIA". The new CD incorporates their own musical compositions presented in a new arranging, experimental interpretations of Ukrainian folk songs in various genres including quick step, country, Rock-n-Roll, Reggae, the Blues, Jazz, instrumental compositions, improvisations and vocal battles. A Ukrainian romantic ballad is transformed into sultry hot salsa, a folk Schedrivka (Christmas Season song) echoes Irish motifs, a humorous folk song in a remix of jazz themes and Mexican rhythms, a Ukrainian melody wrapped in the charm of the Blues - all in original arrangement.